Do you dream of finding a lucrative but flexible business opportunity? Hire Fitness is an established business which opened its first doors in Windsor in 2000 with a small pilot office. 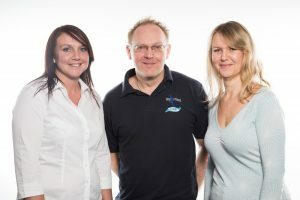 Since then the business has grown rapidly with 15 franchises across the UK and Ireland plus two new franchises opening up in France and Germany. With such as successful and proven business model, our gym equipment franchise offers an opportunity to be a part of that success. Hire Fitness specialises in the home or office rental of gym quality fitness equipment and the hire, lease or sale of high grade commercial fitness equipment for use in gyms, leisure centres, hotels, schools and universities and so on. The range of fitness equipment includes treadmills, elliptical cross trainers, exercise bikes, rowing machines and vibration-plates. 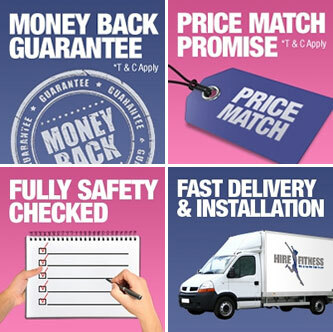 The reason why our fitness equipment franchise model is so successful is because these days most people find it very hard to find the time to go to the gym due to work and family commitments; which is why hiring fitness equipment to use at home or in the office is the perfect solution and avoids those costly gym membership fees and lengthy contracts. The health and fitness franchise opportunity is for a home based business with flexible hours and low overheads. The business has low start-up costs and can be run on either a part time or full time basis. Often, franchises are a real family concern where various members of the family play a part in the success of the business. No fitness industry experience is necessary as full training is given and everything is included in the comprehensive operations manual. Ongoing support after training is provided through the experienced team at the Hire Fitness Head Office in Slough, Berkshire. The exercise equipment for hire is made from high grade components and is designed exclusively for Hire Fitness. The equipment is of commercial quality and the fitness equipment for domestic use is designed to be slightly smaller than gym equipment so it's more portable and suitable for home and office hires. The commercial equipment is top of the range fitness equipment like you'd expect to see in a gym setting. Clients range from private individuals wanting to get fit or take part in a fitness challenge through to gyms, leisure centres, hotels, company gyms, fitness clubs, schools, universities and the film and TV industry. Why should you choose a Hire Fitness Franchise? Proven and successful business model. Comprehensive training and ongoing support from Head Office. Exclusive range of gym equipment. Flexible working hours to suit you. Can be run on a full time or part time basis. No previous industry experience required. Hire Fitness Ireland © 2017. All rights reserved.